It seems that more people are getting a “bikini wax” than ever before, wanting to look good for those summer days on the beach. Most women and some men want to strip away their natural hair to maintain what many perceive as the “sleek and clean” look. 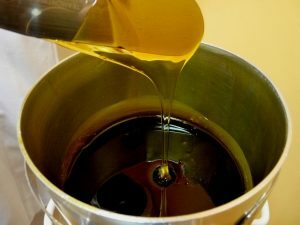 However, a new kind of treatment is on the rise, trying to outstrip the waxing business – body sugaring. This all natural treatment for hair removal in Columbus, Ohio exfoliates dead skin, plus it removes hair by the root. Sean’s Massage Center offers this treatment. 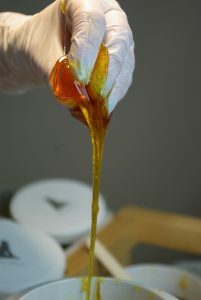 The technique uses a pasty sugar (plus lemon and water) mixture in place of wax and spreads it onto the designated area to be cleaned. Then the substance is pulled off, removing hair and dead skin. It’s effective on any area of the body that can be treated with waxing. Prices for Body Sugaring range from $16 for a simple chin treatment to $93 for the full leg and bikini treatment. Lip, eyebrows and chin for $44 – Women can remove those annoying chin whiskers, excess eyebrows and the first signs of middle-aged mustache. Individually, the upper lip is $16, and the eyebrows are $18. The facial – a full facial is $63; sides of the face, only, cost $22. Arms are $43 and underarms cost $24. Belly button line is $16. Inner thigh and bikini costs $62; the bikini by itself is $33. Inner thigh and Brazilian costs $82; the Brazilian, only, costs $65. The full leg and bikini is $93; the full leg is $77. The half-leg and bikini is $72; half-leg is $44. Comfort is always a major issue at Sean’s Massage Center. From the moment you walk in, our staff works to make you, the visitor, are comfortable before they go to work relieving what ails them. Soothing background music helps build up the ambience of relaxation as our practitioners began their job. Before the Body Sugaring begins you are laid on a warmed massage table, as in all of our services. “Does it hurt less than waxing?” is one of the common questions. Well, you’re stripping patches of hair off your body. Science has not yet developed a completely painless way to do that. However, the technique removes hair in the direction of its growth so the discomfort is usually less severe than standard waxing. Licensed estheticians recommend that hair be at least ¼-inch long to receive the most effective results from sugaring. On the other hand, they warn that anyone using Accutane, Retin A or Renova should not receive sugaring services. To find out more about the various therapy techniques employed by Sean’s Massage Center, click on the “Services” page of this website. We will help make you feel better, whether it’s a sugaring treatment or relieving aches and pains; we will give you the proper treatment. We make scheduling an appointment very convenient. You can call Sean’s Massage Center at (614) 327-4338 to schedule an appointment or receive our promotional material, or go to the “Appointments” request page on our website. The details of your appointment will be confirmed by email. If you have any questions, please ask and we will answer them in the email. Sean McGrath of Sean’s Massage Center is trained in a variety of techniques, and his treatments are part of the OSU health benefits. Using multiple techniques is very effective in getting rid of the client’s discomfort, and even speeding up the healing process. In addition to Body Sugaring, some of the specialties offered at the Center are, reflexology, couples massages, prenatal massages, and (of course) the traditional Swedish massages. Massages as a form of healing have been around since about 500 years before the birth of Christ, but the medical theories at that time (like some present Eastern practices) are believed to have been more holistic, focusing on the physical, spiritual, and the mental state of the patient. Sean received his Massage Therapy License (LMT) in January of 1998. After leaving the Central Ohio School of Massage in Columbus, he moved on to complete a 670-hour series of courses in anatomy, physiology, and hygiene. This gave him the skills he needed to ensure a relaxing and therapeutic massage for his customers. Now, he is a proud member of The National Honor Society and The American Massage Therapy Association (AMTA). Based in the area of Columbus, Ohio, Sean’s Massage Center has two convenient locations to better serve the people in his region – Dublin/Upper Arlington and Pickerington. Sean’s Massage Center offers a variety of membership plans. The individual membership costs $19.00 per month and individual plus (maximum of 2 individuals) $29.00 per month. The family membership plan costs $39.00 per month for maximum family of 4. The business membership costs $99.00 per month for maximum of 20 people.